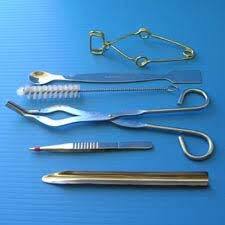 To cater to various requirements at laboratories and other such setups, we bring forth assorted range of Laboratory Tools. We are a renowned name as Laboratory Tools Manufacturer, Exporter and Supplier from Pondicherry, India. The different types of Laboratory Tools that we can make available are Test Tube Clamp, Compound Microscope, Beaker Tongs, Rubber Stoppers, Test Tube Rack, Test Tube Holder, etc.